So, a longer warranty is only good if you use it? Otherwise you're paying for something you don't need? a refurbished SSD? I'm not even sure what that means. That's like going to McDonald's and getting a refurbished McFlurry. It doesn't even make sense. The point that some of you seem to not understand is that the 5 year warranty does NOT mean that an SSD or other product is any better quality than a product with a one year warranty. And yes you are paying for the extended warranty no matter what the current price. SSD prices are dropping as cost to produce them is dropping. 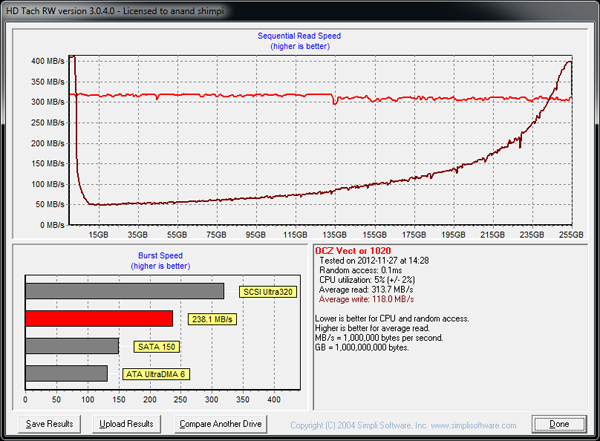 This particular OCZ model is not a highend model by any stretch, it's just the SSD-of-the-week to be superceded by a new model in a month or two. A 5 year warranty means a 5 year warranty; nothing more nothing less. The notion that '5 year warranty = great product!' is asinine. I think if you want to assume anything based off a 5 year warranty in this case, it's because the product is new, the controller is relatively new, and it's an OCZ SSD product. I'm not likely to buy an OCZ SSD anytime soon, but I'd definitely rather buy one with a 5 year warranty than a 1 or 3 year warranty....if I have to buy an OCZ branded SSD because every other brand is sold out. I basically agree. 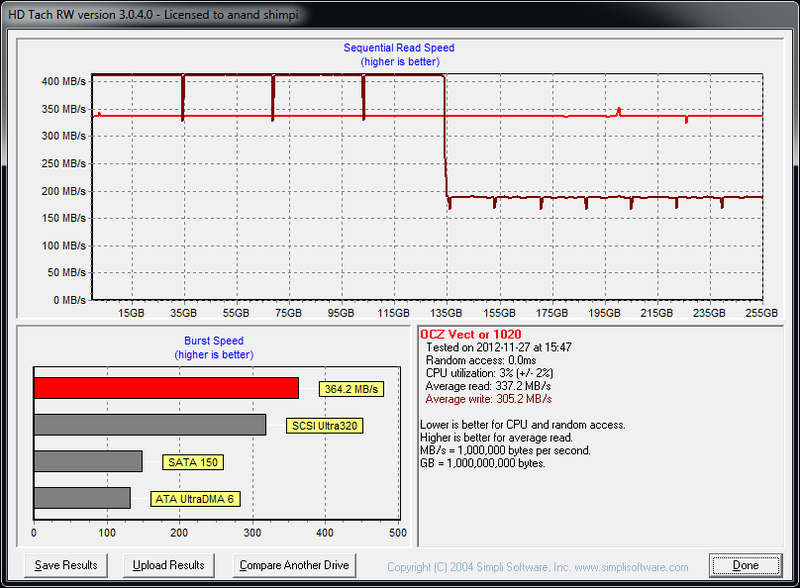 From anecdotal reports, OCZ is one of the least reliable vendors, with their drives less reliable than the average HDD. While, so far, the average SSD reliability being about the same as the average HDD, despite people's expectations, this isn't good. Most people don't need the really high speeds a few of these drives support, higher reliability would be a much better spec to have. Unfortunately, these reviews can't indicate how reliable these drives will be in the longer term. "FYI- A five year warranty ain't worth the paper it's written on if the company no longer exists." <- Depends on how you purchase it. Credit card companies will often honour warranties on products purchased from defunct companies. YMMV. "Most state that you will receive a refurbished or reconditioned replacement if your product develops a defect." <- Happily now everyone in the thread after you has used this conjecture to knock OCZ warranties. That's not really your fault, but I don't think anyone here has read the terms of OCZ's warranty on this product yet? The point being made here is that OCZ would not offer a 5 year warranty on the product if they thought the cost of honouring that warranty would eclipse their income from sales. This is why 1-year warranties are a red flag. So *something* can be inferred from it; just only about the manufacturer's confidence in their product. You can read into that whatever you want, but I don't generally find that companies plan to be out of business within their warranty period. Here here. I second that. I am so tired of getting worn refurbished parts for things I just bought BRAND NEW. CoolerMaster just did this for a higher end power supply I bought. Why would I want to spend a hundred dollars for a used PSU? Seriously. Now all the components aren't new in it. Once the warranty expires it'll die right away. Where is the support behind products these days? (e.g. a 256GB Vector appears formatted as a 238GB drive in Windows). Oh please Anand, the old "formatted" nonsens of all people from you?